You might be thinking what could be the secrets to getting 1000 marks in Federal Board or Punjab Board? Why most students or teachers don't tell the secret? These are the questions that exist inside of every students' mind. Now, the problem will solve forever; you will never ask the questions ever again. The way a topper attempts a paper as beyond your imagination. It's a top secret that nobody does tell. If you can impress the checker, you can get good marks. 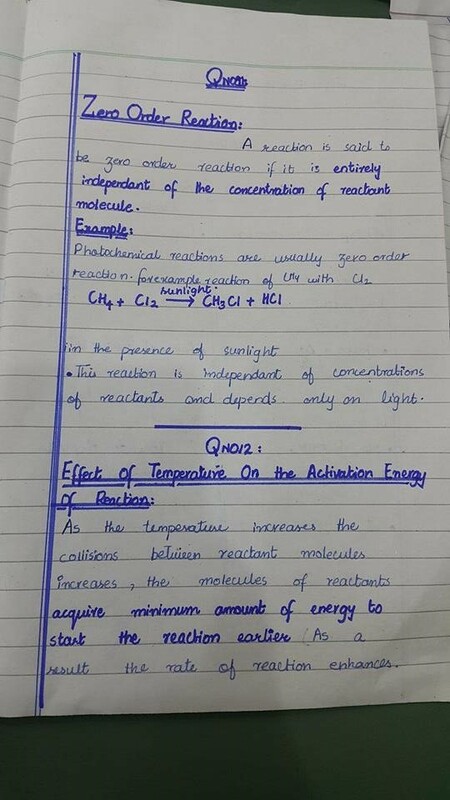 Attempting a paper plays an important role to getting 1000 marks. I have written a long article how to attempt papers effectively with the help of images. If you have any question, you can ask in the comments. Also watch other images (more than 40) of attempting papers of English, Urdu, Chemistry and Physics at here where I also explained how to attempt and which stuff you will need to win the war. The planning of a student who gets above 1000 marks is just a game of planning. He plans as an amazing way if you have ever heard of. He knows what should I do in the next hour, day and month. He makes an amazing schedule from the beginning to the end – the exam. It's a big mistake we often make we don't make a schedule even if we make, we don't obey it. Once you make it, stick to it, hard enough and long enough. Now, you might be thinking how to make a schedule, what to write. The first thing you should buy a notebook where you will write everything – a topic that you will memorize of each subject as such a way your course should be completed in December at any rate and at any cost. To getting 1000 marks is not an easy task as you think. It has no shortcut, just hard work. 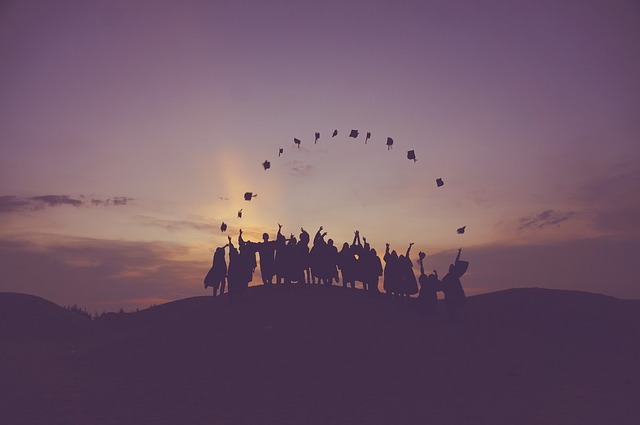 If you are a hardworking student, then it's a piece of cake for you. Most hardworking students don't the science behind it, and they miss the golden chance. If you want to get really good marks, you have to start your study from June and you have to finish till December. The toppers start their study from June and complete till December, after that you start to revise for continuously 4-5 months. Now, you can imagine after revision of 5 months, will you forget a single word of any book? Never! You will become a master of the book. I will not say, you should really join an academy in order to get 1000 marks. I have seen many students who get above 1000 marks without joining. It depends on you. If you can hard work without academy and study at home from June without any teacher then joining an academy will not make a huge difference. If you're not that type of student then you can join any academy i.e., KIPS or Star Academy in order to start your study as early as possible. The schedule of such academies is effective, where every subject is taught as such a way that your syllabus will be covered before December. Most students can't do it by themselves. Read the article Top 10 Mistakes F.Sc students Make and Their Solutions For Getting 1000 marks! What If I Can't Afford an Academy? It's a good question, not everyone can afford such expensive academies. It has an alternative that is to learn from the internet. Nowadays, you can study from the internet very easily. If you haver ever heard of Sabaq Foundation. , it's a website where you can watch a lecture of every topic of any book. 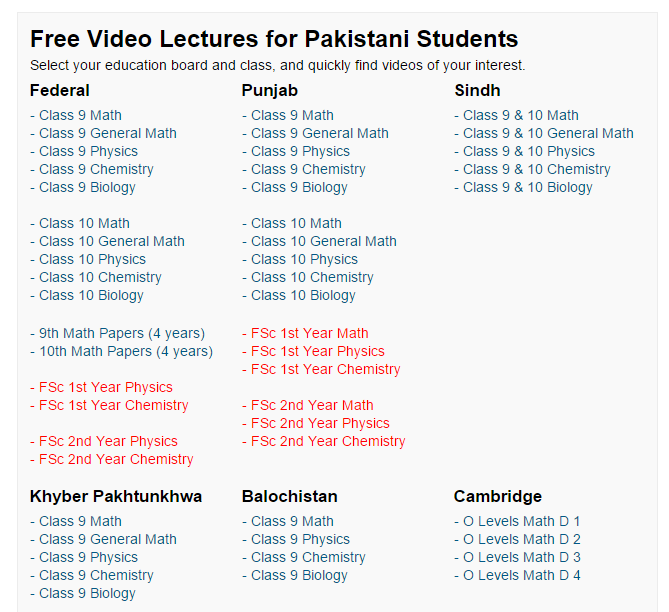 It has lectures from Punjab Board, Federal Board, Sindh Board, Khyber Pakhtunkhwa Board even O Level. Take a look of the website, Sabaq Foundation. I often use the website because every topic is explained as an effective way with the help of diagrams and charts. The teachers are well-qualified. The mission of the website is to eliminate the Mafia of Academy in Pakistan as they're doing an amazing job. You can also use Youtube or Dailymotion, Google Images, Google Videos. All lectures are explained in Urdu only. If you want to get 1000 marks, you have to do a lot of hard work. It doesn't mean you should 18 hours a day. You can get the same marks if you study just for 3-4 hours daily if you start from June. If you join an academy then don't say yourself you have to study for 3-4 hours rather what is taught at academy, you should memorize at any rate and at any cost at home. If you need motivation or want to change yourself or want to develop a passion for studying by heart then just watch the video Road to Success I'm sure you will get 1000 marks after watching the video. The video is about 3 hours, but It's the best video I've ever watched. Best of Luck!